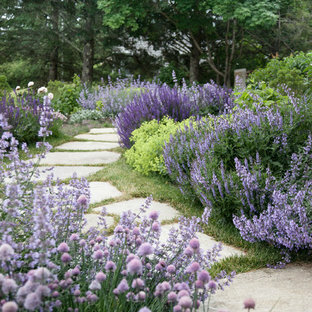 This beautiful English-inspired garden features Mexican bush sage, gulf muhly grass, blackfoot daisy, moonbeam coreopsis, coneflower, and rosemary. 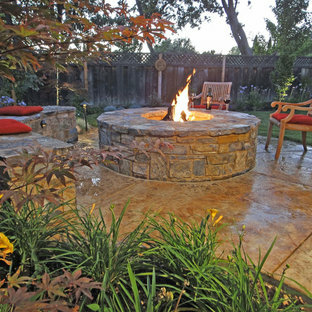 The space also features an outdoor sitting area with a custom corten steel fire pit to enjoy the lakeside views. 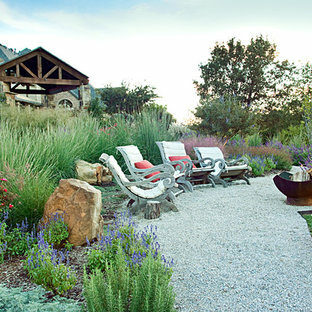 This beautiful English-inspired garden features Mexican bush sage, gulf muhly grass, blackfoot daisy, moonbeam coreopsis, coneflower, and rosemary. 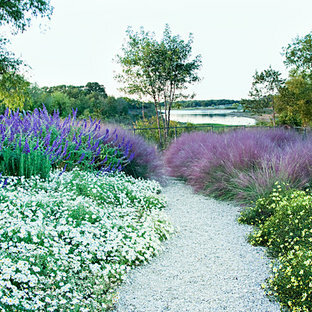 This beautiful English-inspired garden features Mexican bush sage, gulf muhly grass, blackfoot daisy, moonbeam coreopsis, coneflower, and rosemary. 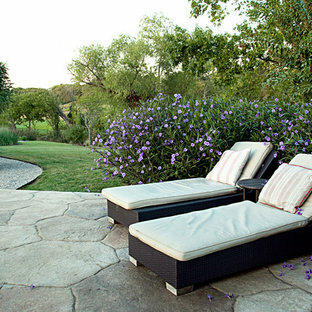 The space also features an outdoor sitting area to enjoy the lakeside views. 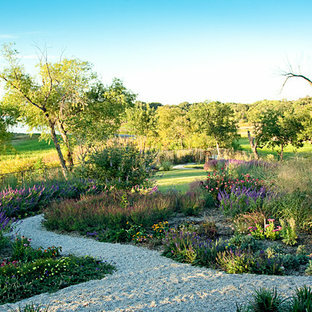 This English-inspired garden in Highland Village, TX offers stunning lakeside views using native Texas plants. 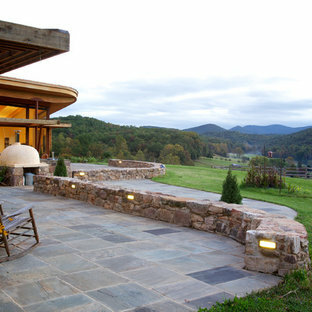 This waterfall revision included using the existing river rock and adding several larger fieldstone boulders. 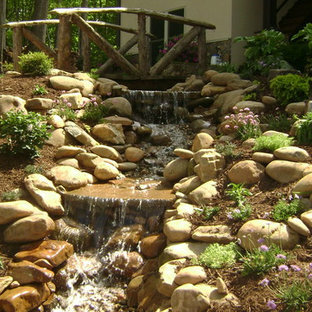 In addition, we included many planting pockets since there were no plants along this waterfall. 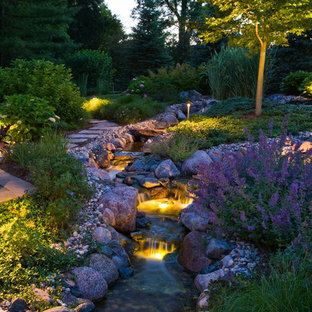 Автор: Ledden Palimeno Landscape Co.
Joe Palimeno has always been inspired by the work of Landscape Architect Robert Royston, a pioneering modernist who helped define landscape architecture in the early 1940s. 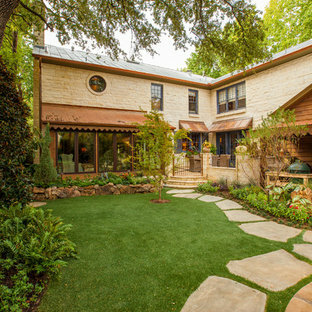 Palimeno has said about past designs, “it has always been the driving force in my design work, to create functional and usable outdoor spaces, whether in a backyard garden or a regional use plan. The goal is the creation of delight, joy and serenity for the people who inhabit the space.” In this backyard, where crisp, clean lines run across the lawn to meet a vertical raw wood structure, a space is defined to offer serenity and relaxation. Автор: Alder Group, Pool and Landscape Co.